Luxury Costa Rica beachfront villa offered for rent by owner in the sought after Malpais area of Santa Teresa Puntarenas. This brand new luxury Villa Paraiso is a one of a kind, 6 bedroom, 6.5 bath home on oceanfront white sand beach, tropical gardens with a private swimming pool, rooftop sundeck, all with the best, unlimited, unparalleled surfing just outside the gate. Sleeps 2-16. This beautiful two-story home is a few minutes walk from Playa Grande's sand beach. Each inviting bedroom has its own TV plus high-speed wireless Internet is available. This pet-friendly home comes with 9 surfboards and many other "toys" like boogie boards and bicycles. Perfect for active famlies! Costa Rica Rental Houses - Vacation Houses, Apartments and more! 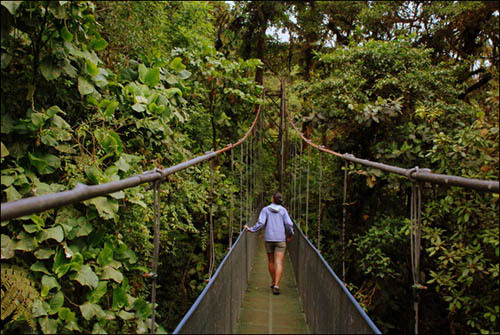 offer a unique alternative for your stay in Costa Rica.